EB-5 Immigrant Visa — Definition of Material Concepts | Swaray Law Office, LTD.
Congress created the EB-5 immigrant visa in 1990 with the core purpose of attracting new foreign investment capital to the country, and to create new jobs for United States workers. Since then, the visa program has yielded phenomenal results. By 2008, the program had pumped over $15.4 billion foreign direct investment into the US economy. Between 2010 and 2013, it had injected $9.62 billion, and 29,300 jobs and $12.08 billion in tax revenue. This blog will define material concepts associated with the EB- 5 program. The goal is to simplify the concepts so as to help the public to more fully understand the program. What does the EB-5 Visa Program mean? It is a program Congress established in 1990 in which a foreign investor who intends to get permanent residency in the United States invests capital in a new commercial enterprise to create jobs for United States employees. What is Investment of Capital? Investment of capital is commitment of capital by the foreign investor into a new commercial enterprise to create jobs. What is Capital? Capital, among others, includes cash, equipment, inventory, other intangible property, cash equivalents, and all indebtedness secured by assets owned by the foreign investor. The foreign investor has to be personally and primarily liable for the indebtedness and the assets of the new commercial enterprise, and the investment capital should not be used to secure any of his indebtedness. The capital is valued in US dollars at the United States fair market value. Assets acquired directly or indirectly by unlawful means, such as criminal activity, is not capital for EB-5 purposes. What is Investment? The foreign investor’s contribution of capital into the risk stream of the market place for the purpose of generating a return. It must go beyond a mere interest to invest. For example, a promise or guarantee to the immigrant investor for a portion of his investment capital is not deemed an investment because the portion was risk protected at the time of investment. The invested capital has to be at risk, i.e, it must be exposed to a loss possibility in order to be considered an investment. What is the Amount of Capital that Must be Invested? The immigrant investor must invest $1 million in a new commercial enterprise that creates no less than 10 jobs; or invest $500,000 in a Targeted Employment Area (TEA). In the last two years, there has been political efforts to increase the TEA $500,000 investment amount, but the efforts have not yielded any result. What is TEA? A rural area or an area with at least 150% of the average national unemployment rate. The TEA is designated by the controlling state government in conjunction with the investor and the Citizenship and Immigration Services (CIS). What is a New Commercial Enterprise? Any for-profit activity formed for the ongoing conduct of lawful business established after 1990. Some examples are sole proprietorships, partnerships, holding companies, joint ventures, corporations, business trusts, or other privately or publicly owned entities. New commercial enterprises that existed before 1990 are considered, but must meet the new commercial enterprise definition. They could meet the definition if they are simultaneously or subsequently restructured into an EB- 5 new commercial business entity. Is the Foreign Investor Needed to be Engaged in the Management of the New Commercial Enterprise? Yes, the investor needs to be engaged in the daily management of the new commercial enterprise, or in the formulation of its policies. What are EB-5 Regional Centers? These are centers established within the EB-5 program three years after the program came into effect. They are referred to as the “Immigrant Investor Pilot Program”. They are private or public economic units with one or more new commercial enterprises in a geographic area charged with managing, directing and controlling projects and developments of new commercial enterprises. All the new commercial enterprises in a Regional Center must each meet EB-5 capital investment and job creation goals. What is Job Creation? EB-5 jobs must be full time of at least 35 hours per week. The immigrant investor, his spouse, children and relatives are not counted as “employees” even if they work under the program. If a particular commercial enterprise is troubled, it could still be deemed to have met the EB-5 job creation requirement if it had met the program’s required number of jobs goal before it adopted the EB-5 program. But it must also be a business that has been in existence for at least two years with a net accounting loss in the twelve or twenty-four months prior to the foreign investors priority date indicated on his initial investor immigrant visa application. 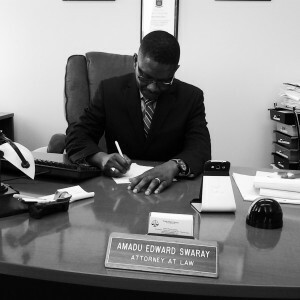 This blog is written by an immigration attorney at Swaray Law Office, LTD situated in Brooklyn Center, Minnesota. Brooklyn Center is located in the north of Minneapolis in Minnesota. The city is close to Brooklyn Park, Robbinsdale, Crystal,and Maple Grove. To contact Swaray Law Office, call 763-549-0670 or visit us at this website at www.swaraylawoffice.com or at swarayassociates@cs.com.